Today’s interview is with author and copywriter extraordinaire Bryan Cohen. 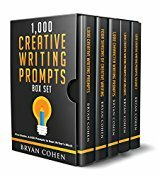 Bryan Cohen is an author, a podcaster, and a coach. He’s published over 40 books, which have been downloaded over half a million times. 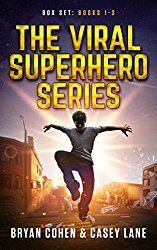 His books include How to Write a Sizzling Synopsis and five novels in The Viral Superhero Series. He’s the co-host of The Sell More Books Show and the head writer at Best Page Forward, a book description writing service. Bryan is well known among the indie author community as a blurbologist! 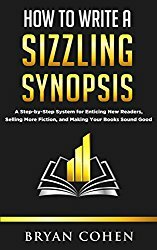 He gives us some great advice about how to write a fabulous blurb that sells more books. The first line of the book blurb is critical. Known as the “tagline” it needs to appeal to the people that read your genre of book as well as sound interesting – without having too much information in it! Research shows that eighty percent of people stop reading after the first line of a book blurb. At this point they decide whether they are going to read on, buy the book, or leave your page. So make this line juicy and interesting. Practise makes permanent, so keep writing taglines to get better and better at them. Read copy to internalise it – it is only through reading lots of different copy for all sorts of different things, from books to advertisements – the more copy you study to see what is good copy the better you will get at crafting your own. When writing a book blurb for a kids book, keep in mind that parents/teachers/librarians are the ones with the credit cards, so write your copy for them too, not just for kids. After the Tagline, tell us about your main character, and make them sound compelling so that potential readers can begin to care about the plot. Make sure the tone of your book description matches the tone of your book. If your book is a silly funny type book, then make sure your tone matches it. If your book is non-fiction or has a non-fiction element to it, mention the transformational benefits of reading the book in your description. It’s always good to study the book descriptions of other books in your genre to discover the appropriate tone and words used in your age group and genre. You can find Bryan at www.sellmorebooksshow.com and find his books on Amazon here.